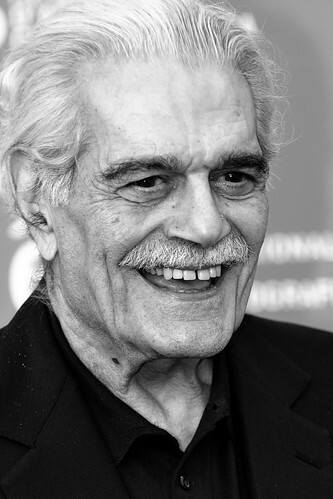 Omar Sharif was an Egyptian actor. He was the son of Claire (Saada) and Joseph Chalhoub. He had a son with his former wife, actress and producer Faten Hamama. He was born to a Melkite Catholic family, and converted to Islam in 1955, when he married Faten. Omar’s maternal grandmother was named Abla Abdallah. Omar has often been described as having been of Lebanese and/or Syrian descent, with some reports suggesting that his parents were from the city of Zahlé. However, in a 2009 appearance on Nile Cinema, an Egyptian television program, Omar stated that this was not the case, and that his parents and grandparents were all Egyptian. He stated the same in a 2010 interview. what’s your opinion about Omar Sharif’s background? His real name screams Lebanese. you definitely should change his ethnicity. That “iloveqatar.net” looks to me like a biased site. A “Christian Lebanese” would be more accurate, considering that he was raised as a Melkite Greek Catholic. The link is just a reprint of an interview that was published here. In the 2000s/2010s, Sharif denied that he is of Lebanese descent. I don’t know what the facts are, but did he ever state that he was of Lebanese descent? I didn’t find anything about it. Consider that he converted to Islam and changed his name in his 20s. He definitely has Levant ancestry. Full blood Egyptians look like a fairer skinned Obama.